You might be tempted to wonder, if everything is so great, why is he retiring….good question. Deciding to end a 20+ year relationship is not an easy decision to make and I’m sure there’s going to be some effort required to adjust to my changed situation. However, this seems about the right time for the practice and for me and I’m looking forward to the next chapter. We’ve taken a lot of time and effort to put a robust succession plan in place to ensure a smooth transition of responsibilities as I leave and David Kent, who surprisingly is a couple of years younger than me, begins his own exit strategy. DKA’s three Associate Directors, Alex Bell, James Bastable and Fabien Coupat have all been at DKA for more than 10 years and will all become Directors from July this year. The main aim has been to make sure that this transition period, which started a year ago, goes as seamlessly as possible for DKA’s clients, fellow consultants and staff. We had a practice at this about 4 years ago when Jay Gidman retired and I think the effort we’ve all put in this time round has ensured that we’re well on course to achieving that aim again. Contrary to common belief, in my house at least, I do have a life outside work. Keeping up with a large and widespread family, long distance walking, reading and sport of all kinds fill in most of the gaps and retirement will enable the realization of a number of plans harbored over the years to watch more cricket and to travel and see a bit more of the world. The eagle eyed amongst you will have spotted that these two are not mutually exclusive. I also plan to get involved in some more sailing, a particular passion of mine, though hopefully I won’t trouble the air sea rescue helicopter again as happened one dark and stormy night in the Irish Sea a few years’ back. How did you approach your work? I’ve always tried to approach work in much the same way that I’d like to think I approach life; work hard, be nice to people, keep an eye on the future. By and large, this has worked quite well. Ok, it sounds simplistic, but it’s wise to remember that most times the building will be there well after those who were involved in its creation have long gone. We owe it to those that follow us to do the best job we can by ‘designing the future today’. The complete skill set required of an architect is wide, varied and complex; if you can do every facet of the job equally well you’re lucky. So we all end up with areas where we’re most comfortable and valuable. Coming up with a concept at feasibility stage to provide a contextual, workable solution and then leading / working in a team, focusing efforts towards the end result and allowing each specialism the room to develop their expertise has always been a real positive for me. Design is an iterative process, the brief and the solution often change as a project progresses so be prepared to embrace change. What was your DKA star project? I’ve been lucky enough to have worked with a lot of talented people over the years; clients, consultants, contractors and others from across and outside the construction industry. These relationships can be very close and interwoven and on larger projects can last several years. Architects are uniquely placed to enjoy the privileged position of being there at the start of a project and (if we’re lucky and the procurement route allows) still there at completion. The sense of ownership this engenders is a great motivator. If the design and construction process has gone really well handing over the finished building can be an emotional experience. I’ve have always enjoyed the buzz of collaboration and the team working aspect of the process which starts with the briefing exercise, hopefully with those who will use and occupy the building, and continues through the concept and detailed design stages to construction phase and completion. It’s almost impossible to choose my favourite DKA project. The Temple Circus office building in central Bristol and several primary schools both in Bristol and Wiltshire spring to mind. The Dining Hall at Millfield was pretty special as well but the Mercedes AMG High Performance Powertrains projects will stick in my mind. 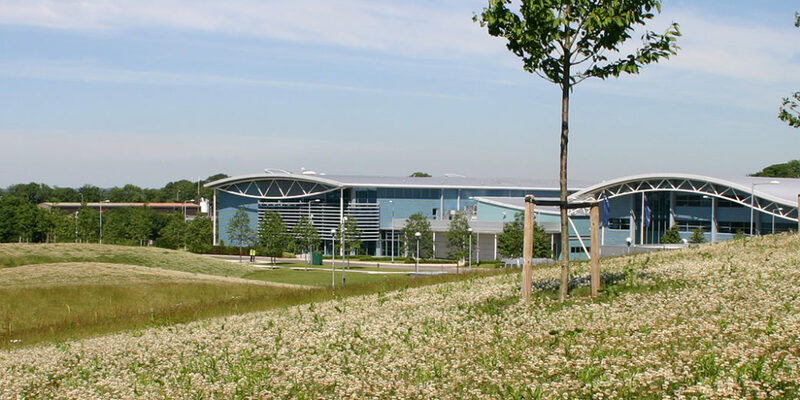 In order to resolve all sorts of production and quality issues at the existing facilities spread across a number of sites, the DKA masterplan proposed a series of developments to create state of the art production facilities for the design and manufacture of racing engines and cutting edge, road relevant research. The subsequent successful implementation of the plan over several phases across 5+ years for an exacting client confirmed DKA’s abilities to deliver and I’m personally really proud of the results which helped us establish a strong reputation in the field. It was a privilege to work with such a talented team. What will you miss about DKA? What will I miss about life at DKA? Well, in a word…everyone and everything. That’s 3 words really but I’m sure you know what I mean. I suppose I would say this but it’s a great place to work, it’s full of talented and friendly people who work hard and have fun doing it. They’ll be less cake in my life, I’ll have to go to the pub on my own on Fridays and my rants about the England’s team selection will continue to be ignored. I won’t miss some aspects of daily life like reading appointment documents and collateral warranties and some of the less exciting but nevertheless vital tasks to do with the business of business. However, I’m leaving with a clean conscience, clear in my own mind that, no matter what they say in my absence, it wasn’t my fault guys. But most importantly I’m retiring knowing that I’ve helped to build and maintain a really excellent practice with some great people who under the guidance of the next generation will continue develop the DKA brand and create great buildings we can all be proud of.